For millions of consumers, social media sites have become a conduit to a wide variety of non-social sites, including eCommerce sites. Therefore, social media can help increase eCommerce sales via this new and growing crossover. Social media sites provide useful tools and a wealth of data to help you drive people to your eCommerce site. Social media is perhaps the only marketing venue which allows merchants to see what customers are saying in real time. Business owners can even join that conversation, posing questions and raising topics to learn more about what customers think. Notably, social media can be very successful for sales campaigns. For example, merchants can offer incentives, discounts or rewards points and see immediately if the campaign takes off. Sometimes people don’t want to contact customer service directly – some consumers feel more comfortable talking about problems with a business on Facebook or Twitter. Social media allows merchants to respond quickly to customer complaints and handle the issue over the internet if the customer is more comfortable with that form of contact. Notably, if there are a large number of complaints surrounding a particular issue, it’s possible to quickly make changes and reduce issues. According to HootSuite, 90% of potential consumers of your products won’t respond to cold calls. However, 76% are willing to talk via social media. Leverage this dynamic to generate new leads to fill the top of your sales funnel. For example, post content with links to a landing page where prospective customers provide their email address in exchange for content. Social media marketing is one component of a comprehensive inbound strategy to increase trust and credibility. In other words, social media posts are less about direct selling and more about customer engagement. Notice, for example, how camera maker GoPro uses Facebook. Gopro doesn’t use social media for direct sales, but rather to show prospective buyers the quality of videos created using their product. Social media collects a vast amount of data about the people who visit their websites. Notably, that wealth of data is available to businesses to create highly-targeted ad campaigns. Through social media advertising, merchants can direct ads to the target customers based on their activity on social media sites. Therefore, providing an effective (and cost-effective) means to drive new website traffic. Digital marketing, including social media marketing, has made it easier than ever to reach and engage with prospective buyers. The challenge is in standing out among the tidal wave of content that already exists on sites like Facebook, Twitter, LinkedIn, Instagram and Pinterest. That requires a smart strategy, but when done right, social media can help increase eCommerce sales and grow a business. 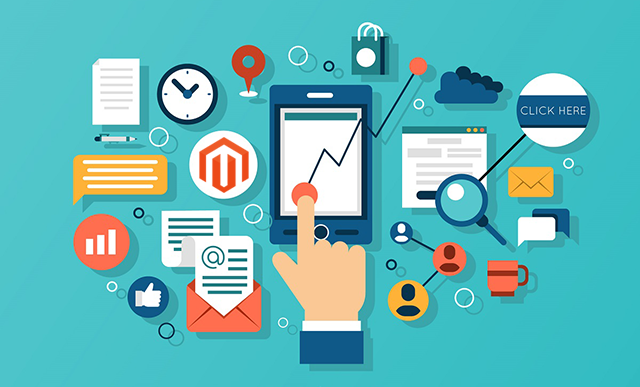 To learn more about how social media can help increase eCommerce sales and grow your eCommerce business, contact us today.